4.The program was basically a flop. 8.How a botanist helped the US war effort. 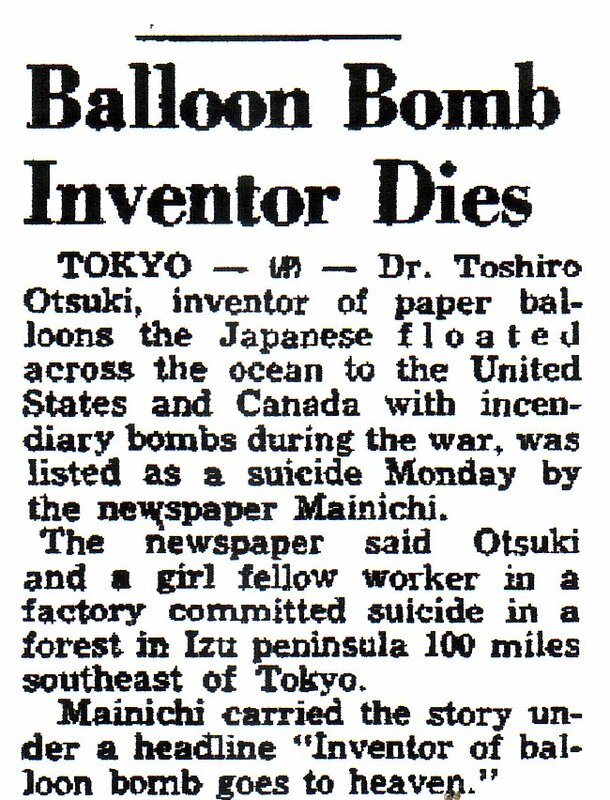 9.The inventor of the balloons dies. 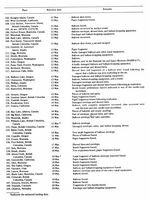 10.Japanese apology for deaths in Oregon incident. 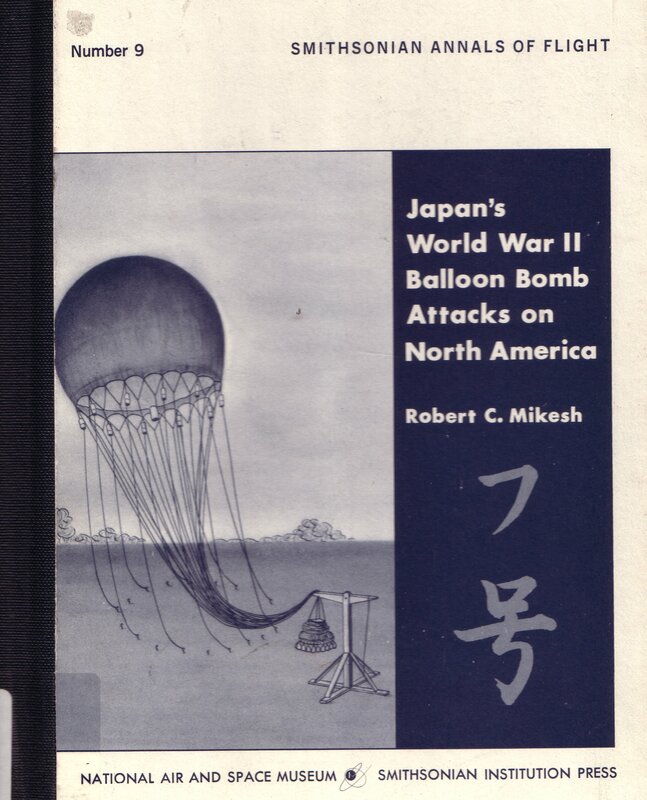 The Japanese launched some 9000 balloon bombs against the US during the war. 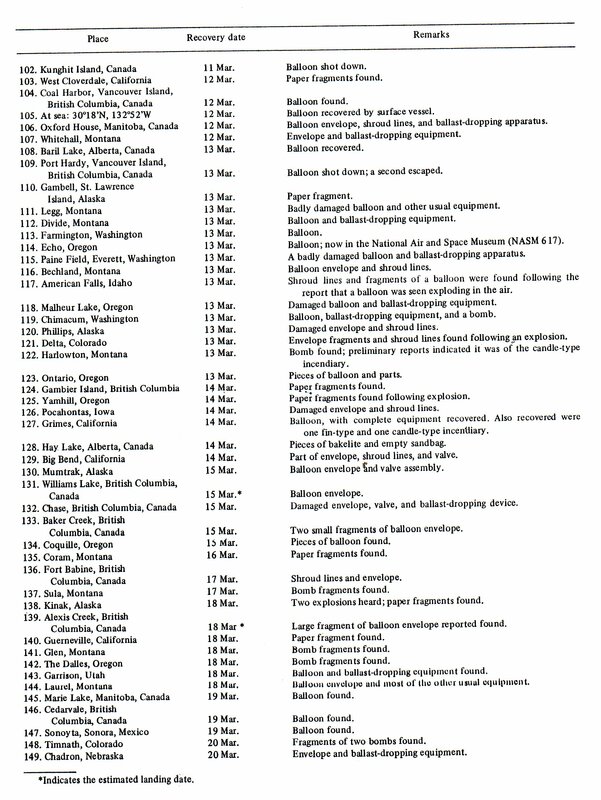 The bombs were meant to start forest fires and cause explosions, hopefully causing chaos and confusion in the US west. They were a reprisal for the Doolittle raid on Tokyo, sort of an “if you bomb our country we'll bomb yours” type of thing. Out of some 9000 launched only about 1,000 actually made it to the US and Canada, and of those there was one case of six people being killed by the bomb carried by the balloon. For a weapon, that's a pathetic rate of success. The forest fires they hoped to start never appeared, largely because the bombs were being designed or in hiatus during the dry season in the US. If lots of fires had started then lots of people would have been needed to fight them, perhaps reducing the war effort, or at least that's what the Japanese hoped. The propaganda value was nil since the US media pretty much covered up the story of the bombs till very late in the war, which served as a major discouragement to the Japanese who were launching them. They were pretty much another sign that Japan really didn't understand what they were getting themselves into in World War II when they attacked Pearl Harbor. 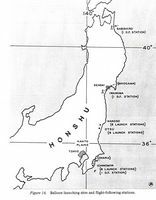 Japan had no planes that could reach the US and bomb the mainland (the Germans had an experimental plane that once came within 12 miles of New York, but that's as far as that program got.) Thus, Japan was totally unable to stop the military production capability of the US, something which Yamamoto knew would happen, although no one among the Japanese leaders listened to him. Thus, the US could continue to produce weapons while, eventually, the Japanese were unable to as the US advanced in the Pacific. 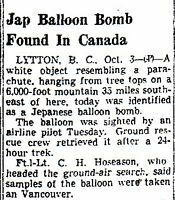 The balloon bombs were basically the Japanese version of the Nazi V-1 and V-2 rockets, but much less technologically advanced and very much less effective. 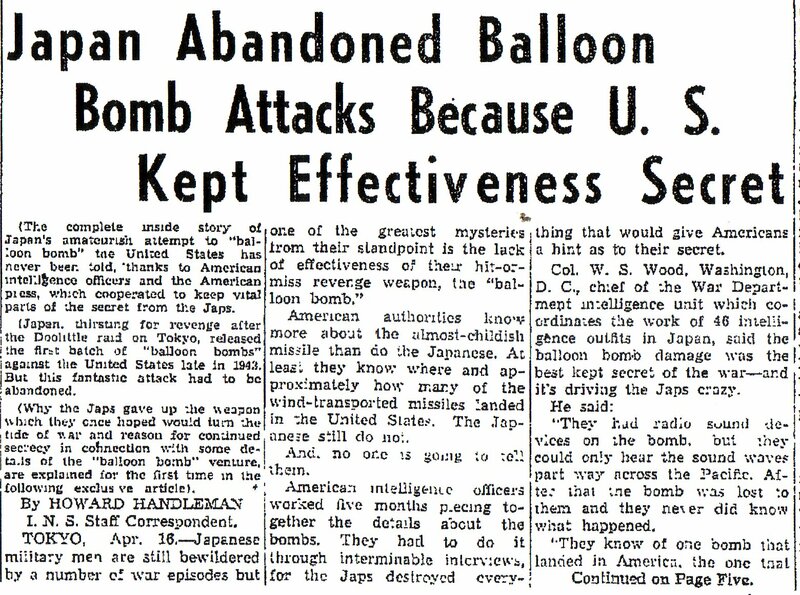 Yet the entire balloon bombing program is something that most Americans today are not familiar with (along with the Japanese submarine shellings of Fort Stevens and Santa Barbara, and the plane bombings of Oregon.) It's all a really fascinating historical area of World War II. The program could have caused major forest fires if they had been launched during the west's dry season. 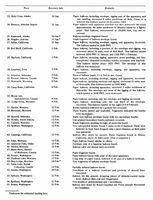 Any biological weapon descending over a city could have caused mass panic and damaged US morale. Those are could-have-beens, of course. Alternative history type of thinking. 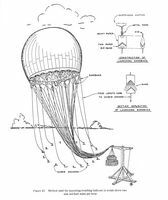 There was also one project which was to have launched balloons from submarines which would have been closer to the US and would have cut down the flight time of the balloon to about ten hours. The program never got underway, though. 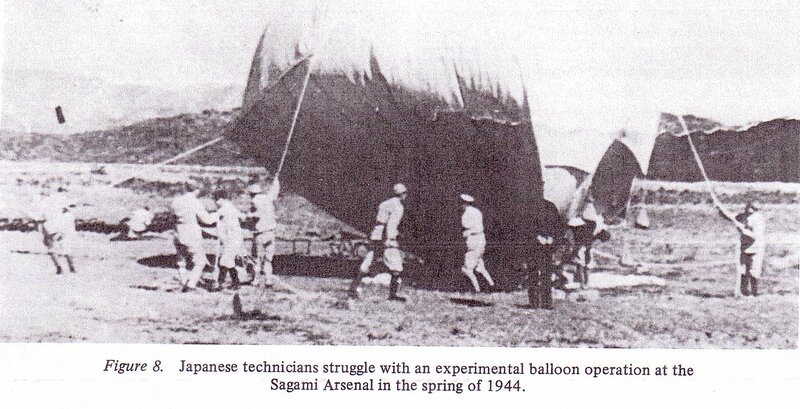 That was the Japanese army balloon. 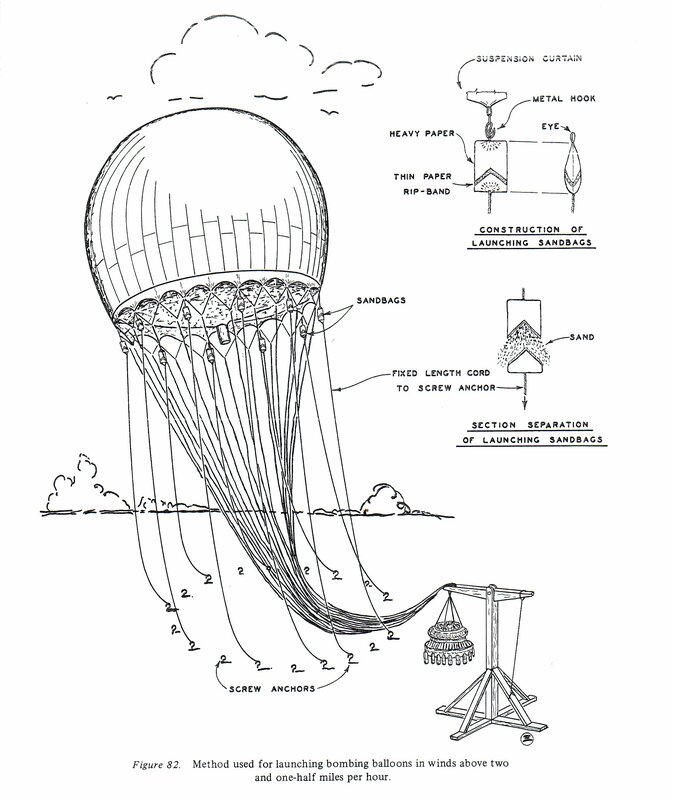 The Japanese navy developed one with a “skin of rubberized silk,” although it carried a smaller payload. The balloons were made often by schoolchildren. ”In numbers, school children were the greatest labor force on this project. During wartime, school hours were short in order that the remainder of their day could be devoted to the war effort. 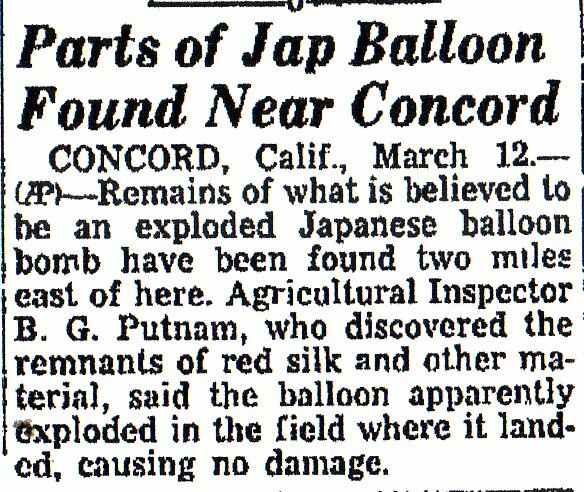 Thousands of Japanese had a part in making these balloons, but officially they were never told of their purpose. Even when word about their intended use would filter down, no one believed it. 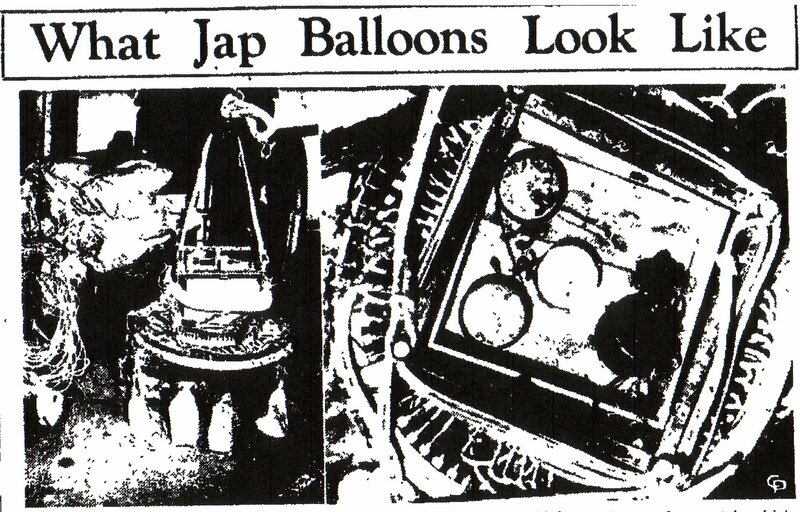 ”Two years of experimentation and some 9,000,000 yen (more than 2,000,000 prewar dollars) were spent on the manufacture of balloons.” Cost per balloon was about $2,300 at the start of the project but went down as production increased. These are three descriptions from newspapers. It wasn't just an easy matter of inflating and letting the balloon go. 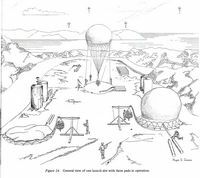 The weather had to be just right, the wind currents just right, and even then the wind at the surface could catch the partially-inflated balloon and cause problems for its handlers. 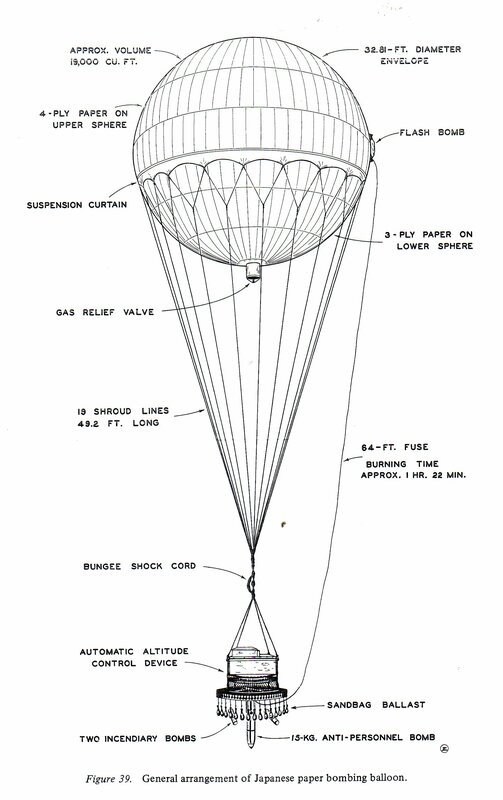 The first of the balloon bombs was launched on November 3, 1944. 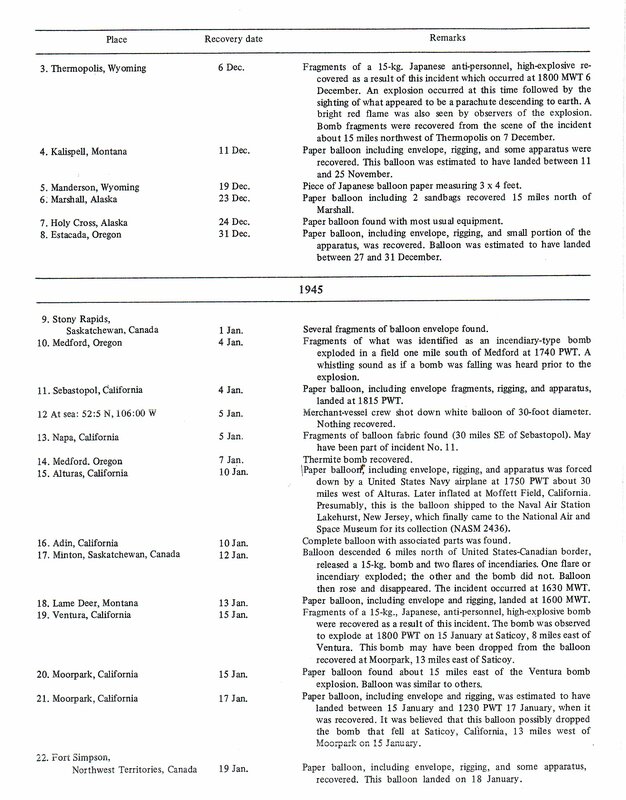 The first balloon was found on November 4 about 66 miles southwest of San Pedro, California, in the sea, the balloon having crashed into the water. (The international dateline thing makes it one day after launch rather than 2 days, technically). 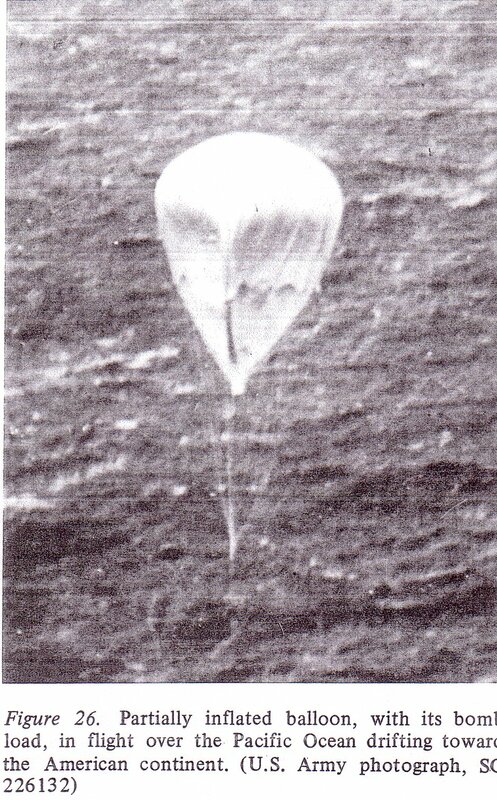 Two weeks later another fragment of a balloon that had crashed into the ocean was found. 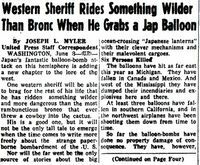 The decision to keep things as secret as they could was made, although forest rangers were told to keep an eye out for any balloons in the forests. This is one map of where at least some of the bombs hit. 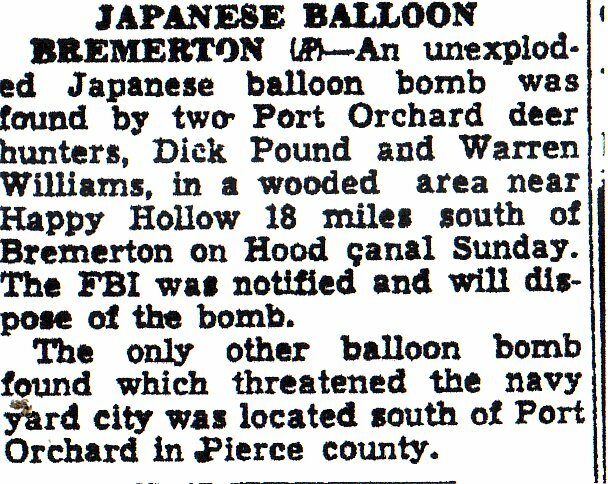 Alaska: Statesville Record and Landmark (NC), January 1, 1955. Notice that this is ten years after the end of the war and the balloons were still being found. California: San Mateo Times and Daily News Leader, March 12, 1946. This one refers to the remains of a balloon being found; apparently it had exploded but did no damage. 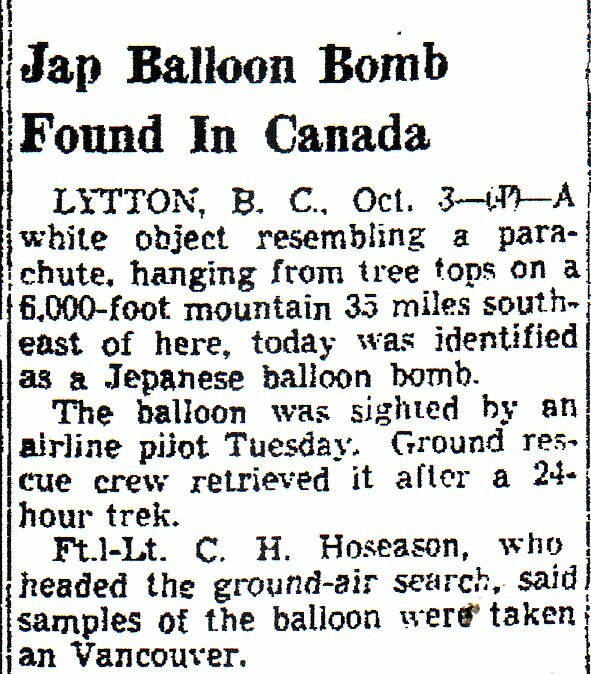 Lytton, Canada: The Times Recorder (OH), Oct. 4, 1948. Another balloon found years after the end of the war. 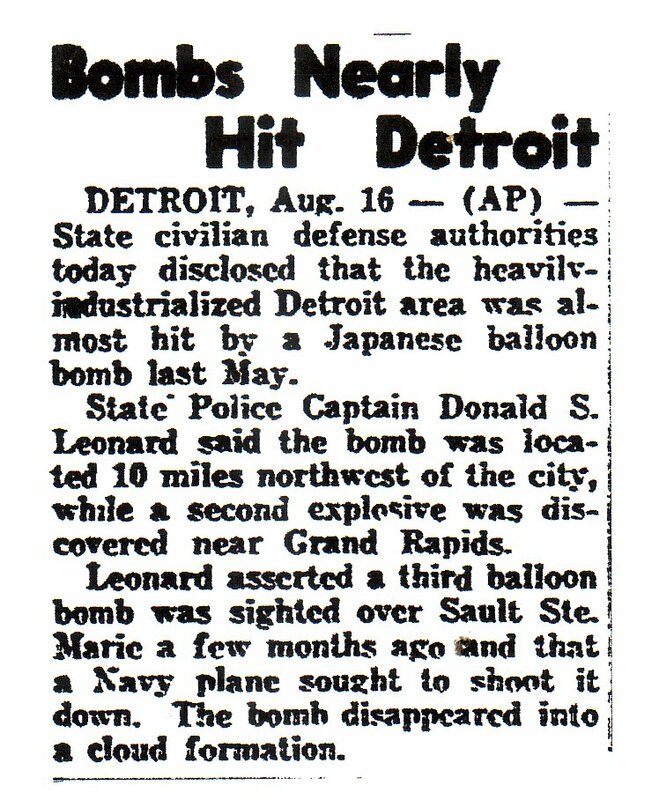 Michigan: The Lowell Sun (Mass) June 6, 1945. 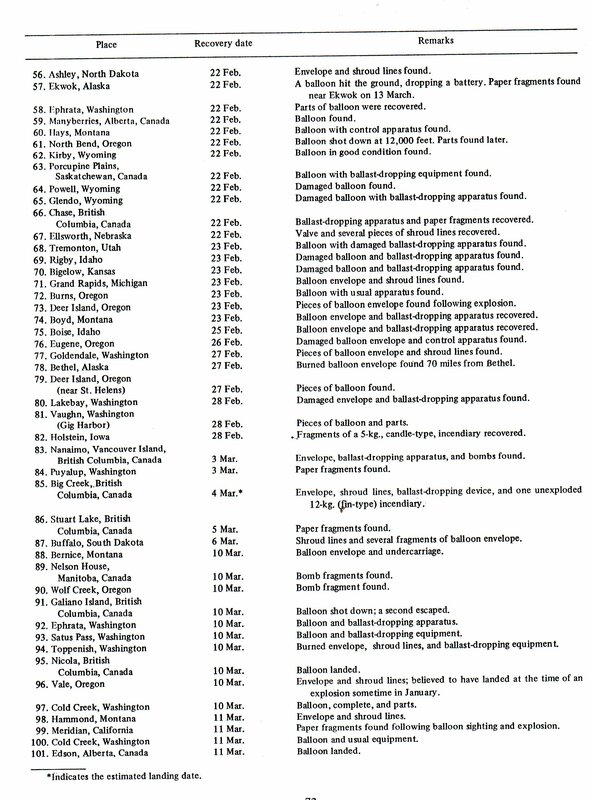 This report refuses to say where the balloon bomb was actually found in the state. 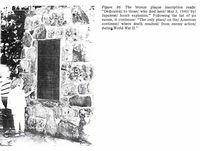 Michigan, second article. The Lima News (Oh), August 16, 1945. This one refers to multiple balloons. One bomb was found ten miles from Detroit, another near Grand Rapids, and another near Sault. Ste. Marie. Montana: The Independent Record, Aug. 19, 1945. 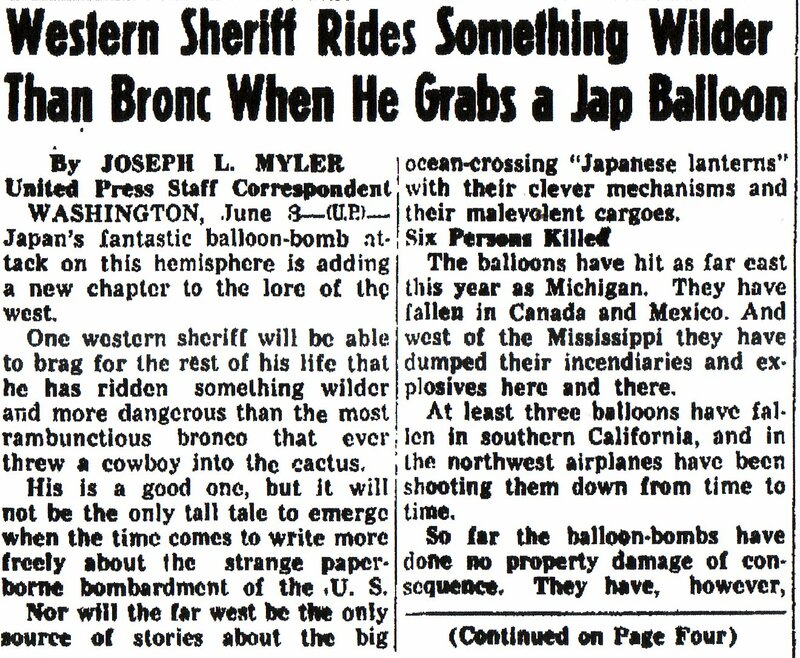 This article, like the one above, refers to multiple balloon bombs. It also discusses the secrecy factor. 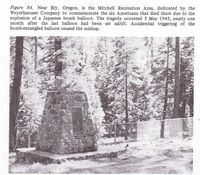 Oregon deaths: Nevada State Journal, June 1, 1945. 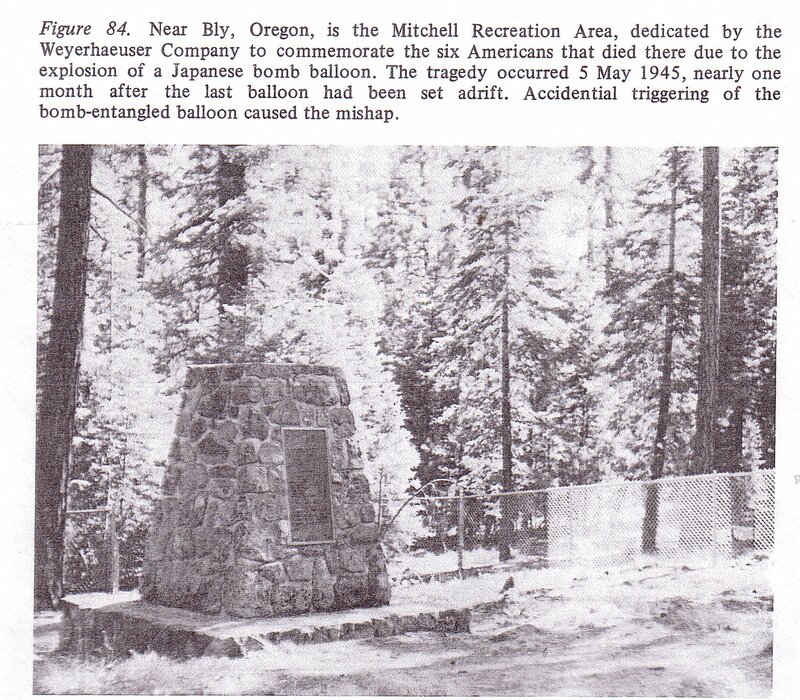 An article about the death of six people due to a balloon bomb they found in Oregon. 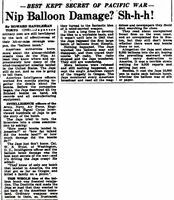 This was the incident that caused the authorities to stop trying to keep the balloon bombs a secret, instead warning people to avoid any suspicious balloons or balloon fragments. 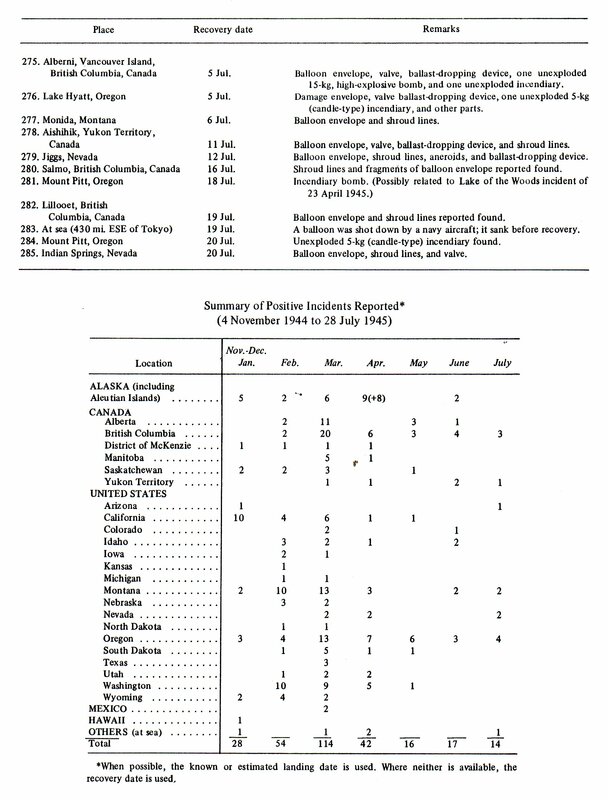 Oregon deaths, second article. The Bradford Era, June 4, 1945. 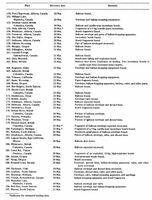 Oregon deaths remembered. The Lima News, Sept. 30, 1976. 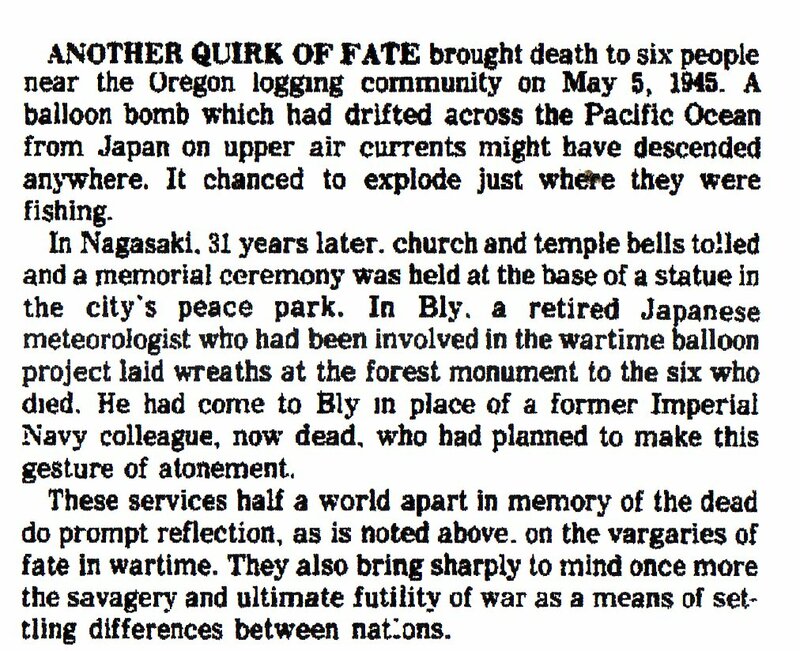 31 years after the Oregon bomb deaths a ceremony is held in Nagasaki, and a meteorologist who had been involved in the project lays a wreath at a monument as a gesture of atonement. 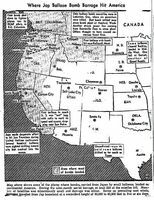 Washington: Walla-Walla Union bulletin, Oct. 16, 1946. An unexploded balloon bomb is found. Out west somewheres. 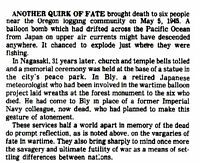 The Daily Register, June 8, 1945. No specific place, but it's a fascinating story. 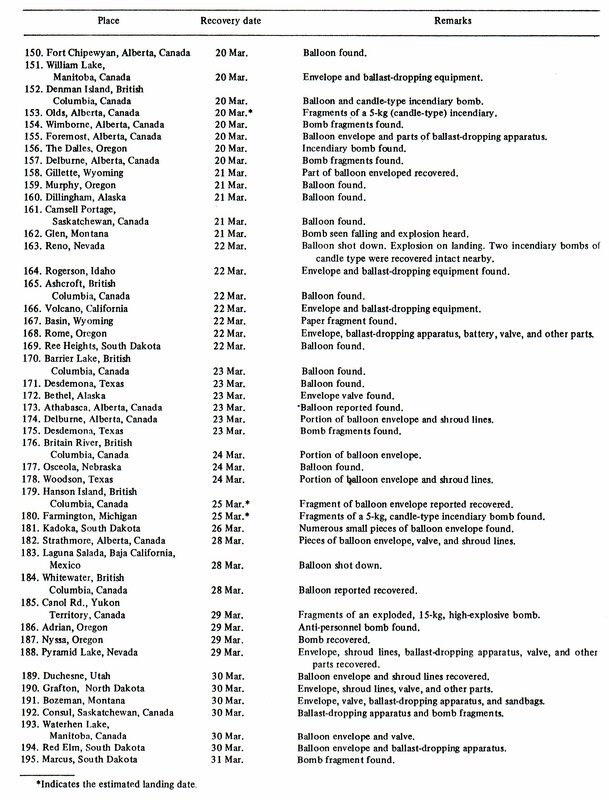 A listing of many of the incidents. The US was not without its own countermeasures, however. Project Firefly was one system set up with airplanes and 2,700 troops, 200 of them paratroopers, who were stationed at spots which were considered hazardous areas for use in fire-fighting missions should those become unnecessary. 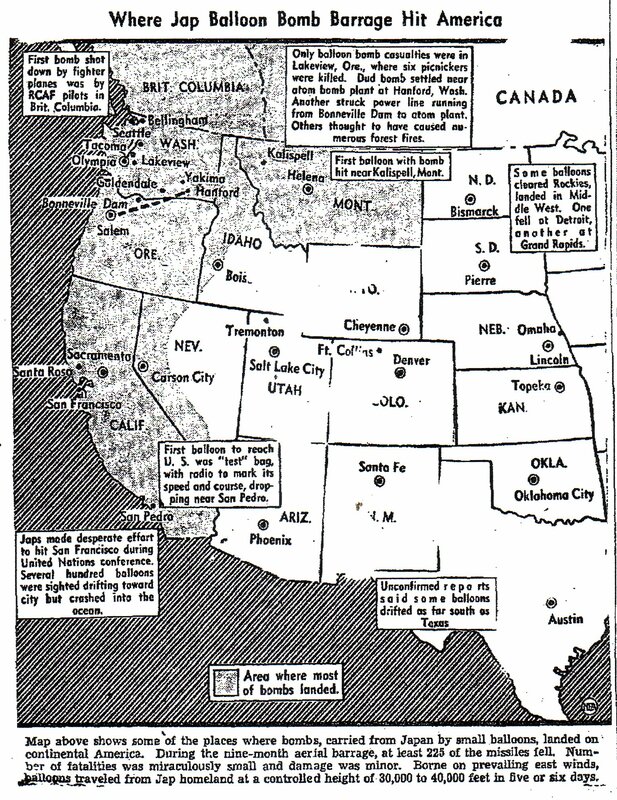 Lightning Project was a system set in place where vets, 4-H clubs, agricultural colleges, etc, were told to be on the lookout for “the first sign of any strange disease in livestock or crops.” Only a couple of balloons were shot down over the mainland, one over California and one over Oregon. 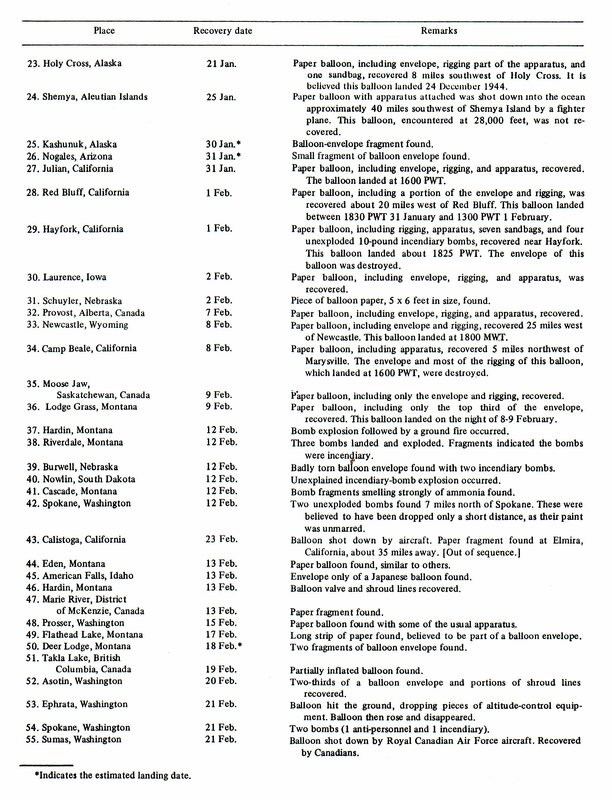 There was more success over the Aleutian Islands where, on April 13, 1944 some nine balloons were shot down. Still, there wasn't much success in intercepting the balloons. 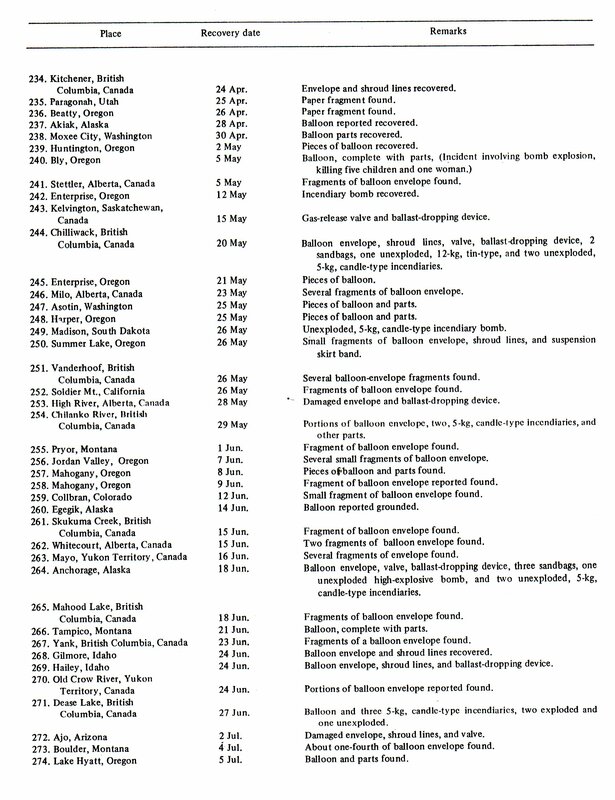 This was caused by poor weather, the high altitude balloons were at, and inaccurate sighting reports. 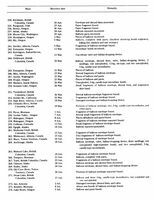 One major disadvantage for the US and something that might have also contributed to the low interception rate was the fact that the west coast defenses had been deactivated since the war was obviously going in favor of the US and any actual invasion by Japan was out of the question. Radar stations were not properly manned and no combat planes were kept on ground alert. 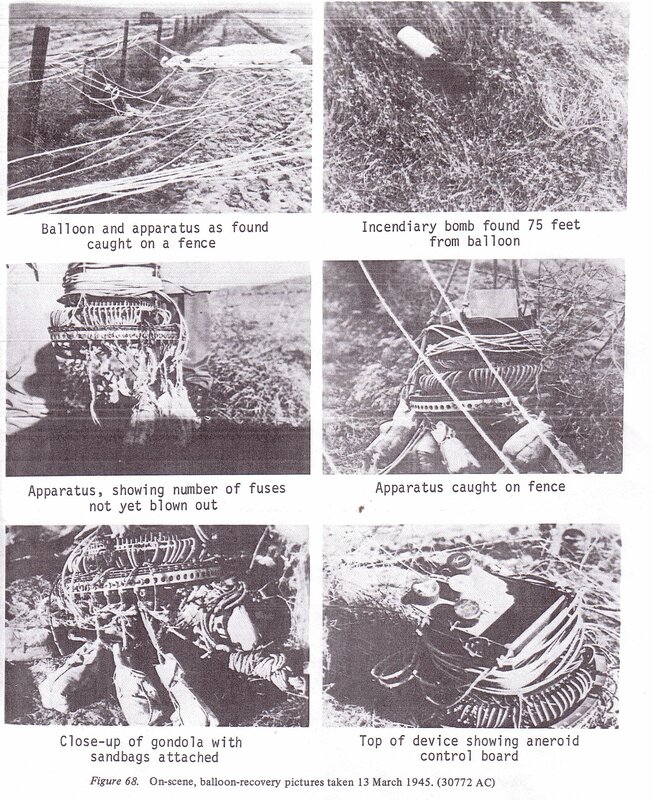 Anti-aircraft defenses were limited so there wasn't a whole lot that could be done to stop the balloons. There are going to be different views about the success of something by two different sides in a war. 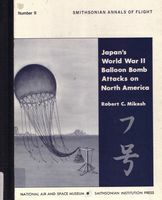 For the Japanese, at least during the war, the balloons were considered a success with claims of 10,000 casualties had been caused by the bombs and numerous fires had been started. 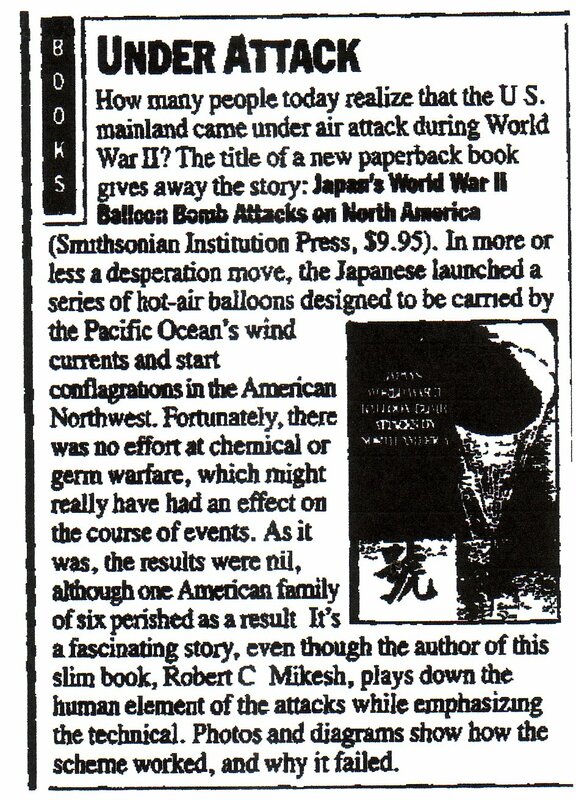 They claimed that “something big” was up, and that “large-scale attacks with death-defying Japanese manning the balloons” would be launched. 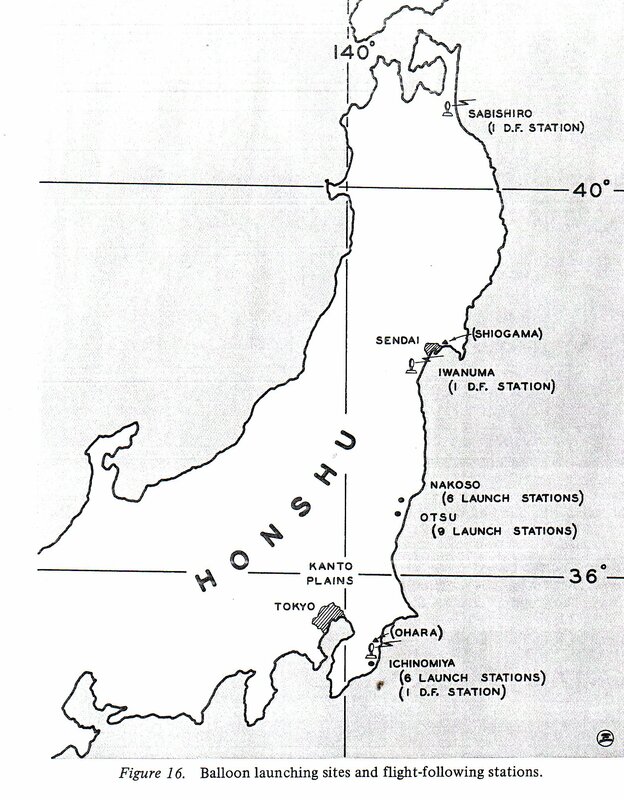 It was implied that bombers flying one-way suicide missions would be launched against the mainland (it could have been done if the planes were stripped down and had really favorable winds). Yet this was all propaganda for those in Japan. 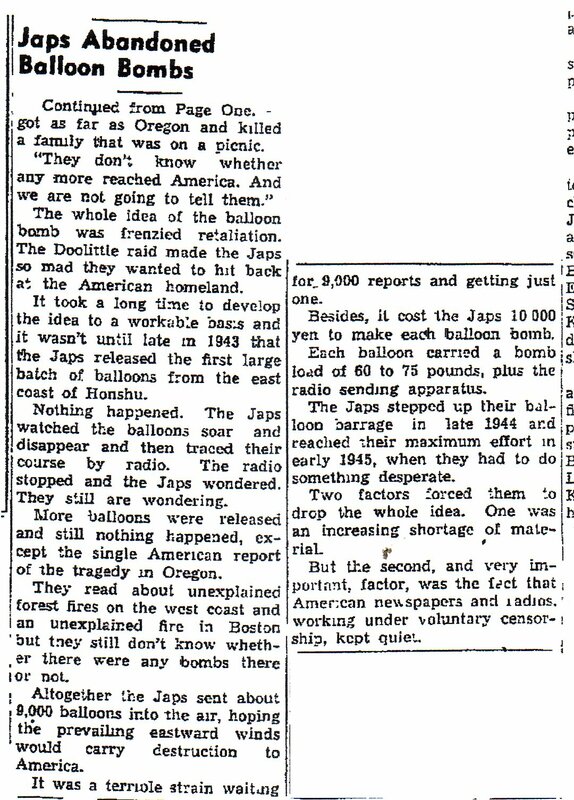 The truth was that the Japanese did not really know if the balloons were effective or not. 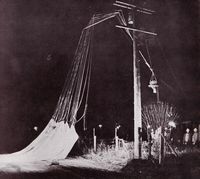 The 1000 balloons that got to the mainland managed to kill six people, start two small brush fires and cause a momentary loss of power at the Hanford, Washington, atomic-energy plant. This is one the articles from when the war was still going on but in its closing stages. 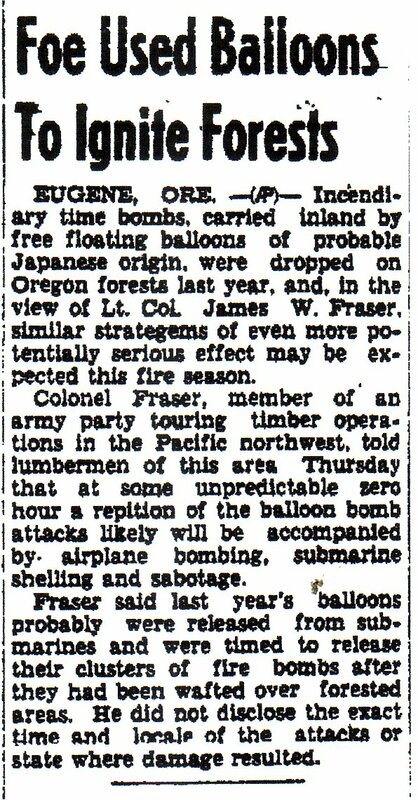 Note that neither the army nor the navy were “worried about” the balloon bombs. 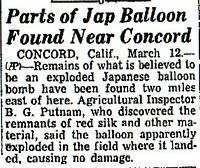 A practical reason for the secrecy is also given; if the Japanese knew where the balloons were landing, they could have improved them to take care of any problems and make them more accurate. This, I believe, was meant as an editorial. 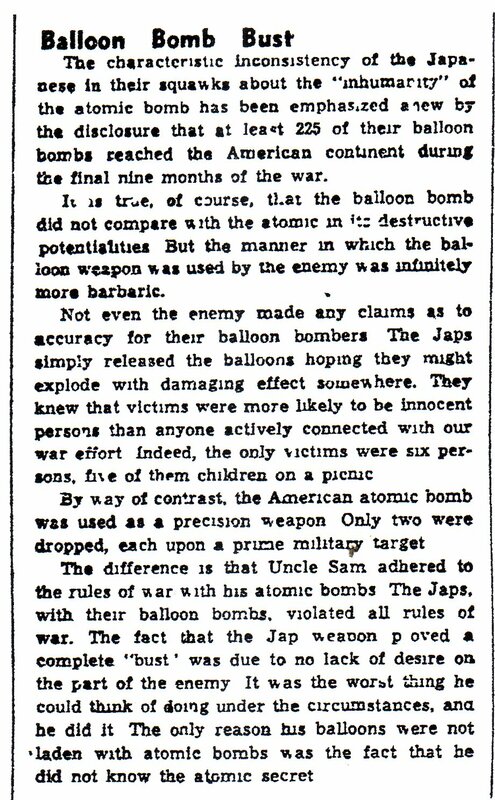 It talks about the “squawks” from the Japanese about the inhumanity of the atomic bomb and then says that the balloon bombs were more “barbaric.” The writer charges that the Japanese knew the victims would be innocent people. (This totally ignores the fire bombing of Japanese cities which was done on purpose targeting the civilian population). The article also states that the Japanese violated the rules of war by using the bombs, but that part I don't understand. Why did it violate the rules of war? 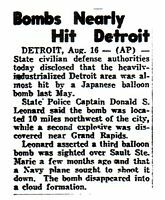 If it did, then so did the V-1 and V-2 which were much more effective than the balloons ever were. This article is two years after the war so it's going to have more complete information. 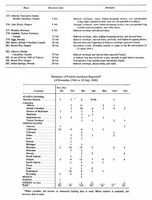 It notes only 1,000 of the 9,000 bombs ever arrived, giving it almost a 90% failure rate even before the question of any damage comes up. It also notes the abandonment of the project. 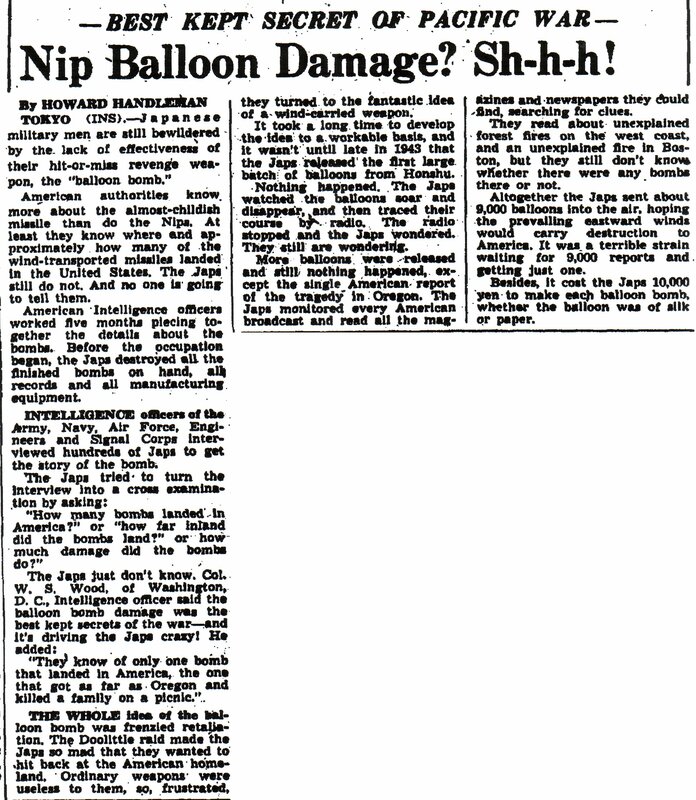 The article notes that two balloons returned to Japan when the winds shifted. 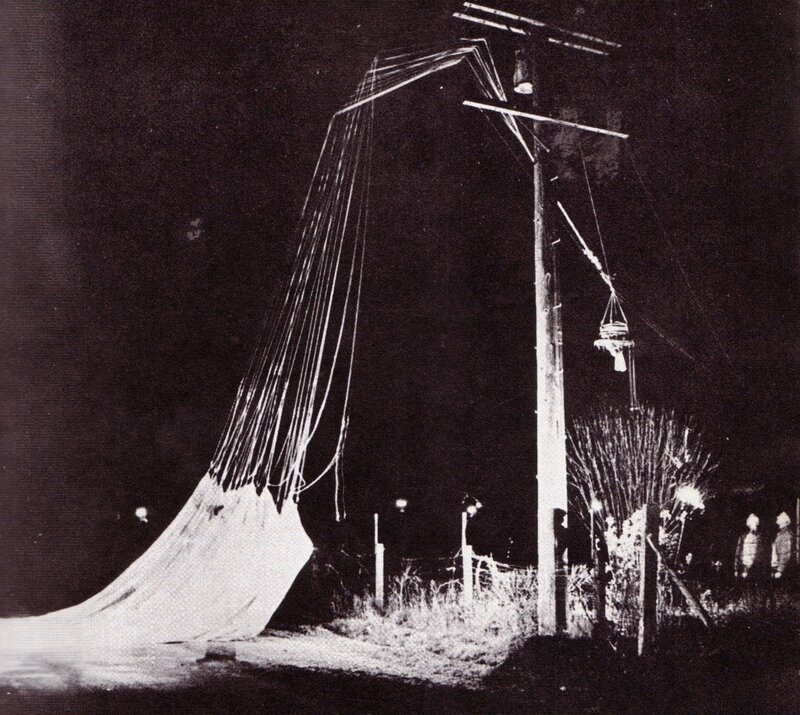 Both returns happened on March 13, 1945, about a day after launching. The balloons fell in snow and did no damage. Great havoc was something they were not creating, not by any means. Claims like this were meant to bolster morale at home rather than to tell things like they really were. 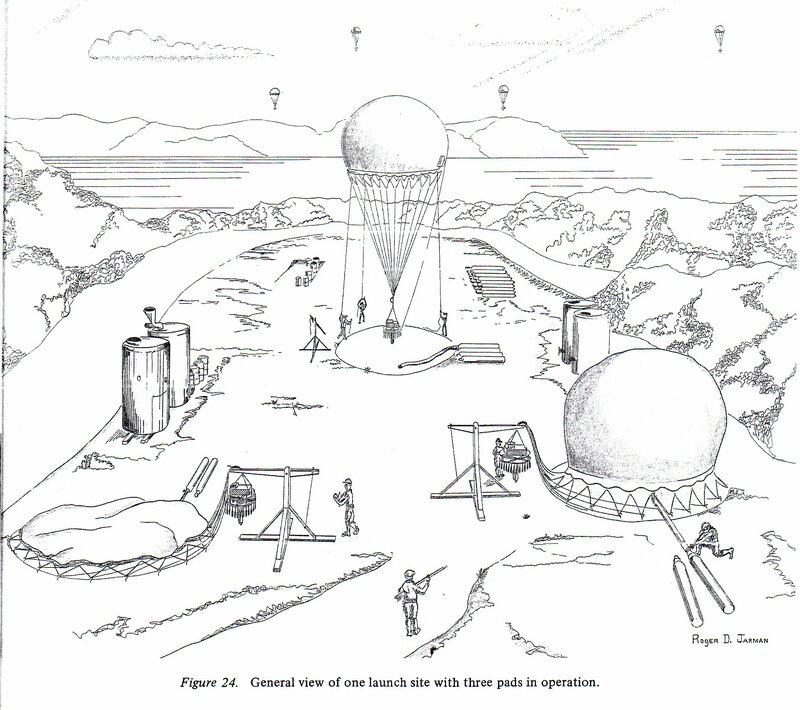 The idea of sending manned balloons doesn't make a whole lot of sense. For one thing, you'll have to have a way to make sure the pilot can breathe at the altitude the balloon hits. That takes weight, along with any water for the pilot to drink and any weapons the pilot carries. More weight equals less bomb potential. Let's assume they could find a way for the pilot to survive the trip. What you would end up having is individual pilots landing rather than any organized form of of landing. 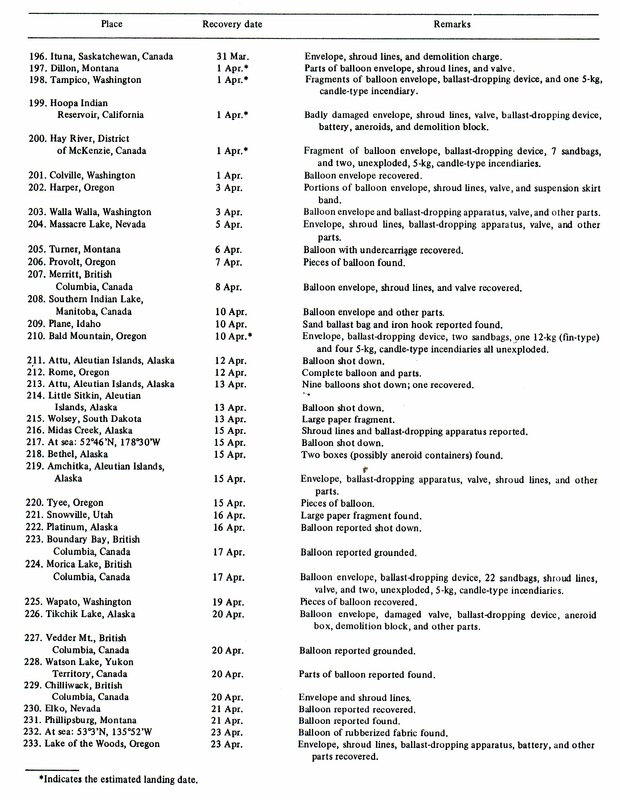 Granted, individuals can still cause damage, but consider this; almost 90% if the balloons launched ever managed to get to the U.S. That means probably around 90% of any manned balloons would also fail; in effect giving you a 90% casualty rate even before you ever set foot on enemy territory. In all likelihood the statement was just another form of of propaganda, an attempt to strike fear into the hearts of Americans. 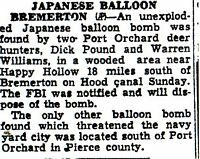 The two articles below, quite similar in nature, tell about how the media kept most of the balloon-bomb information secret during the war except for the incident in Oregon that killed six people. 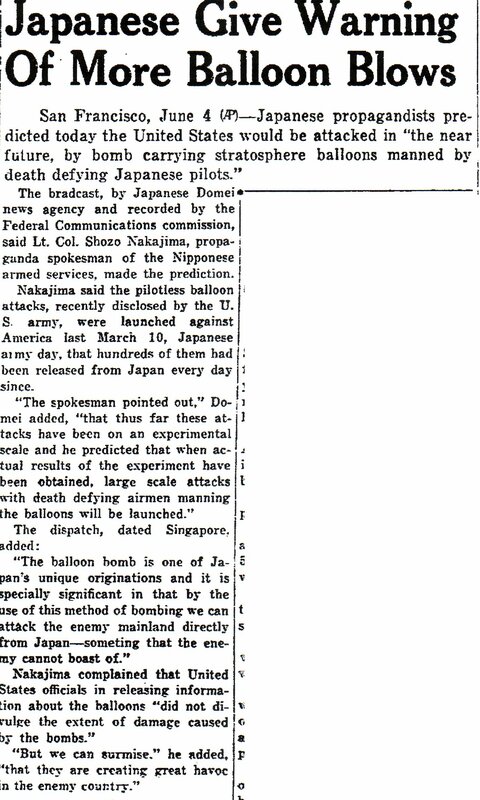 This resulted in the Japanese not having any idea whether or not their balloon bombs were being effective or not. 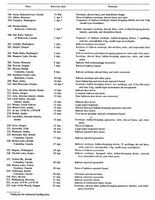 They released some 9,000 of the things and only knew for sure that one was effective; that made a .0001 percent effectiveness ratio which isn't really very good, to say the least. Although the articles make much of the secrecy factor, even if the Japanese had know it wouldn't have made a whole lot of difference since the bombs were basically a complete failure. One of the major problems was that this was a weapon that you let loose and had no idea when it would fall. That's not very good. 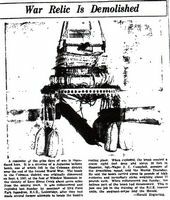 The V-2 rocket, for example, could be launched with a relatively reasonable certainty that it would hit its target; London, for example. It wasn't very accurate, but it could at least hit a city. 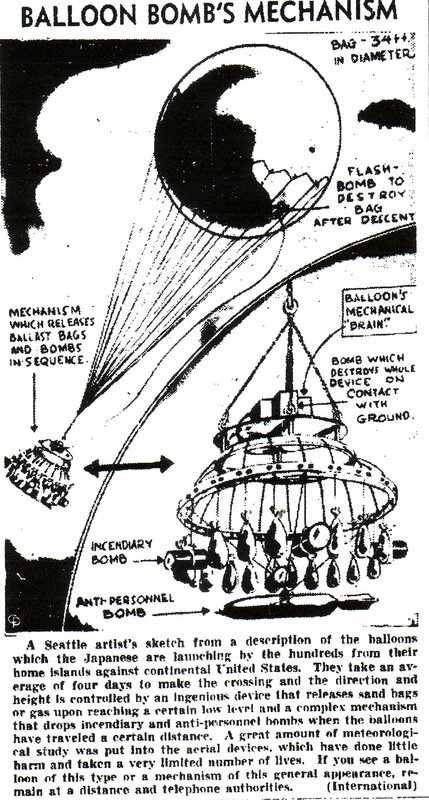 The balloon bombs couldn't really be aimed except for letting them go and figuring the ballast/timing mechanism would get them to drop somewhere over the U.S. Although there are a lot of cities in the U.S., there's also a lot of open space, especially in the western half of the continent. The Japanese were hoping to start forest fires, but even those wouldn't have been that much of a major problem unless they were able to start hundreds of them, which they couldn't. If the bombs had been used in conjunction with biological weapons developed by Unit 731 then they might have been somewhat more effective, but that's assuming they would land somewhere near or in a city and not out in a forest or desert where no one might pass for quite some time. The main value of the bombs would have been psychological. If they would have worked in any number then it's quite possible that civilians would have been panicked, thinking that a Japanese bomb could drop into their midst at any time. Keep in mind that the last time this portion of the country had been invaded was probably back in the US/Mexican war about a hundred years earlier. The western part of the US was not used to being attacked, and the sub attacks on Fort Stevens and Santa Barbara caused quite a stir. So the secrecy did help to lower the propaganda value, at least. 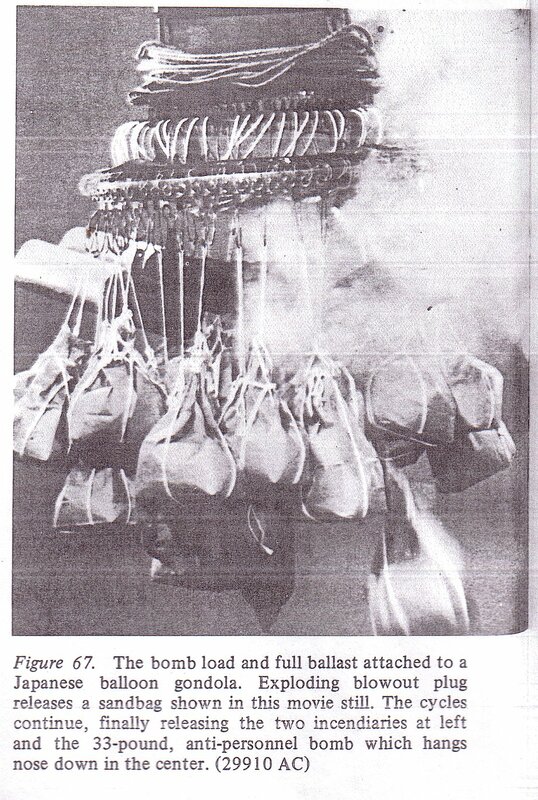 The article below tells how a botanist studied the sand being used in the ballast bags on the balloons and was able to inform the military where the sand came from, which enable them to bomb the balloon base. The two articles below tell of the last days of the inventor of the balloon bombs. 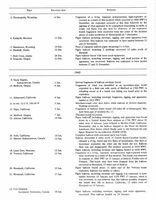 The first article notes that the inventor and a young office worker had disappeared, leaving his sick wife and two children behind. 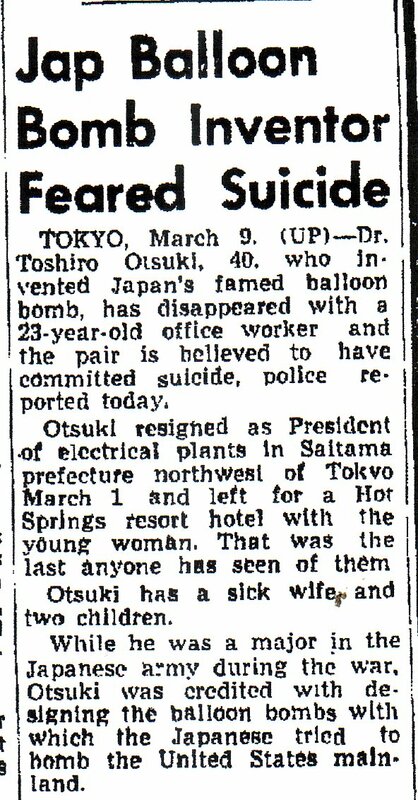 The second article, from less than a week later, notes that the two had committed suicide in a forest. 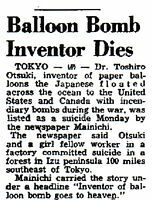 Keep in mind that suicide is not that unusual at all among those involved in the military effort of WWII in Japan, so the inventor's death is not that startling. 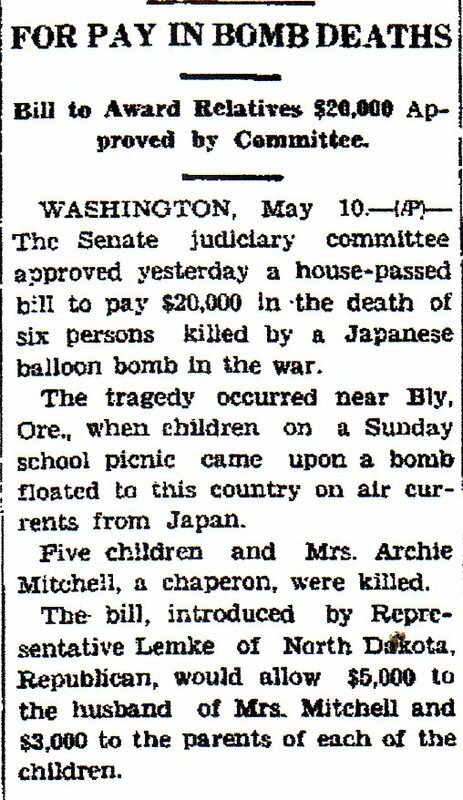 The first article is about Congress passing a bill which paid the relatives of those who were killed in the balloon bomb detonation in Oregon $20,000. 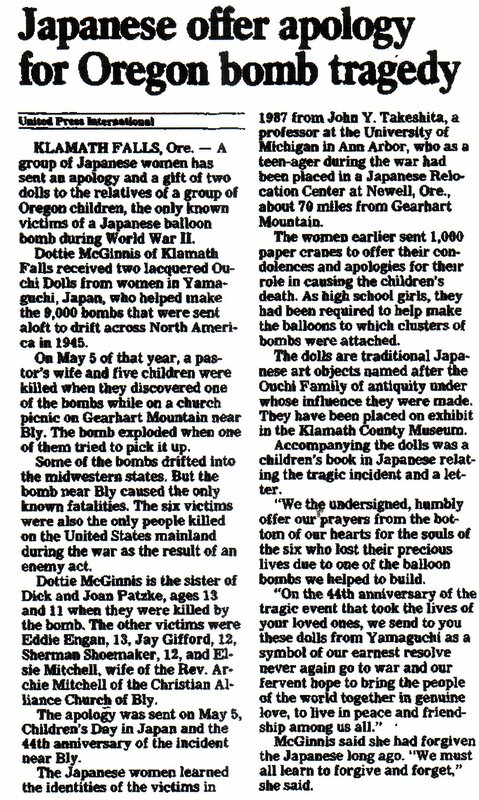 The other article is about women in Japan who worked on making the balloons offering an apology for the killing of the six people by the bomb. Many Japanese female schoolchildren were made to work on the construction of the balloons.